WOAH that might actually be true. AC loves House. De Soto de Son, Two Sails on a Sound, Visiting Friends, Penny Dreadfuls, Alvin Row, Lablakely Dress, Always You, Pride and Fight, We Tigers, #1, Polly, Loch Raven, and Safer. I believe its literally impossible to say one song of theirs is best, and to pick one single favorite is extremely difficult. Anyone who's heard all of their albums and the various other tracks released knows that their sound changes incessantly. Almost every album of theirs could honestly be considered different genres. I narrowed it down to some of my favorites, but in the end, every song of theirs is excellent. Lablakelydress: No favorites from MPP and Straw Jam? I mean you do like them since you said every song they have is excellent, but I have nto seen too many people who have not said that they don't have a top favorite from those two albums. But it's cool to have someone who has a different taste compared to the rest of the board, and that is why I like this forum. ^Fish I must admit, I love [i]In The Flowers[/i] with all my heart. Not sure if it's my favourite song, but it's top five without a doubt for me. That explosion of joy makes me explode with joy.. I think I've ruined my hearing by turning up bothe the general volume and the bass levels during the EPIC part of In The Flowers. Great song. Almost all AC songs are great, that's what I've learned from this thread. Peacey, my theory is that most people on the board acknowledges the fact that SJ and MPP are great albums and easily accessible. At some point the songs on those albums were are favorite but we listened to them too much upon first hearing AC and started to prefer their more experimental music. And there may be a level of pretentiousness involved because some of us may think that only entry level AC fans like their most popular albums thus, we seek out the less accessible and 'underground' AC songs as mentionable favorites. But the underlying reason is that we all have had those songs as our favorite so their is no need to mention a common-known fact. I am probably mostly speaking for myself, so if others disagree, then disagree. "And there may be a level of pretentiousness involved because some of us may think that only entry level AC fans like their most popular albums thus, we seek out the less accessible and 'underground' AC songs as mentionable favorites." This is so human, and so true. I have fallen victim to this habbit a while back and although I was not a snob about it like the thousands of Youtube commenters under the official My Girls video, I have done that before. But I would be lying to you now, If I didn't put My Girls in my top 10 Animal Collective Songs (as of now). So it's safe to say that I learned to get over that "thing". Their best songs are there best songs, accessible or not. My Girls is also a favorite of mine. Whats wierd though is that once i feel like ive connected with an album, i listen to it much less. I find its a lot of fun to try to figure their albums out. Narnia - you have articulated perfectly what I've been thinking for some time as I was indeed one of these "entry level" late comer fans. I came in via a recommendation on Person Pitch which I loved, then started with MPP and SJ and I was hooked. When you get absorbed with artists like AnCo and you delve into their past, it's just magic to find so much material which is both awesome and unique. You can't help but seek out songs which appear to you as hidden gems. Since starting this thread my favorite has unequivocally remained Water Curses. I just cannot get enough of this song; it's so perfect. All of these are great points. I agree with welcometonarnia completely. I started out by listening to strawberry jam and my next two albums I heard were MPP and feels. The whole part about "not needing to mention the commonly known fact" that we all agree that those albums created so many favorites was why I neglected to mention some of those songs. Another reason I mentioned the songs I did was because most of the ones i said are great songs that people had failed to mention ealier. Everyone already said the classic favorites from MPP and other "more accesible" albums. So I felt the need to fill this gap of great songs from their other eras. And my point by saying "all their songs are excellent" was that even the ones I didn't mention or people haven't mentioned could easily be favorites of anyone. Well said Lablakely. I'm just one of those people, especially in the past couple of months, who thinks of people that only like something because it goes against the mainstream, as arrogant. Just like what you like and don't care about the popularity of it. Anyways, the real point is that Animal Collective has too many great songs to choose a favorite from. ive come to the point in my AC fandom where i am completely honest about my favorites. right now my favorite is The Kite. it creates the coolest atmosphere. yesterday it was My Girls. who cares ya know? P-fish, regarding dresses favorites, he did have a an s-jam song #1 is in there. But I agree with you guys about the pretentiousness completely. A true AC fan doesn't care about popular judgements on AC and their fans (particularly concerning My Girls). I saw a guy at an ODDSAC screening ask Geologist his opinion about " AC fans who just like My Girls" and I was like wtf why would you even spit that negativity at the band? Hey ticonderoga I've never heard of the Kite. Where did you find it? I wonder if this was a song that Geologist wrote? I like it btw, this is my first time ever hearing it. My favorite right now, is Sleeping Factory. Where can I find that, Ty? Thanks for thw link, I thought I had this but I must've not downloaded it or I lost it with all my other AC downloads. 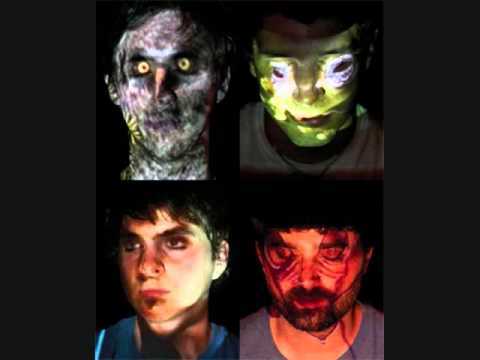 I guess my #1 song by Animal Collective would have to be... #1. Really irritated me at first, for some odd reason. I was blind but now I see. they should have put a #2 on water curses... #3 on MPP #4 on FBK and kept going until they got to 10! and then start again! #X! then go back to where it all began pre! #0! GO TIME!~ ZERO HOUR! !~~ then the negatives! starting with -9! I'm torn between Water Curses and Honey comb. They both have that way of crawling into your skikn and moving in the furniture to stay. I'm also tempted to throw Leaf House in to make it a deathmatch and see who wins, but it would be like circular reasoning. Alvin Row, Winter's Love, Loch Raven and Turn Into Something Those are songs that are important to me. Most of their other songs I just enjoy the HELL out of. But those go beyond!!! yes! i don't know why they remove the "oomph" or energy / edge to some of the stuff in the studio versions? ... like surely they knew that was such a powerful thing... the HEYYYYYY! that's why they call ave the dream her! I'm hoping thats just the case with Merriweather songs. Todays Supernatural sounds almost exactly like the live version. I was really happy when I read the first post. Water curses is also my favorite animal collective song. Its also my favorite song...in the world. My first post ever guys. Nice to meet everyone. rock on, london! (jeremy!) 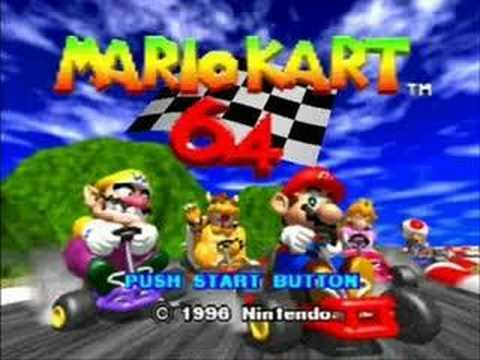 water curses still reminds me of mario kart 64 beach level! and it weirds me out! Also Frightened reminds me of the feeling of being inside a wave pool. My current favorite is Kids on Holiday. I had almost forgotten about its existence. This house is saaaaaaaAAAAAAAAAAAAUHHHUHHHHAAHUHHHHHHHHHHHddddd Because he's nooooooAAHHHHHHHHHUHHHUHHHHHUHHHUHHHHHHHHHHH ....meow. I love this song.